North Korea is expected to send a delegation of around 400 to 500 people to South Korea for the 2018 PyeongChang Winter Olympics from Feb. 9-25. 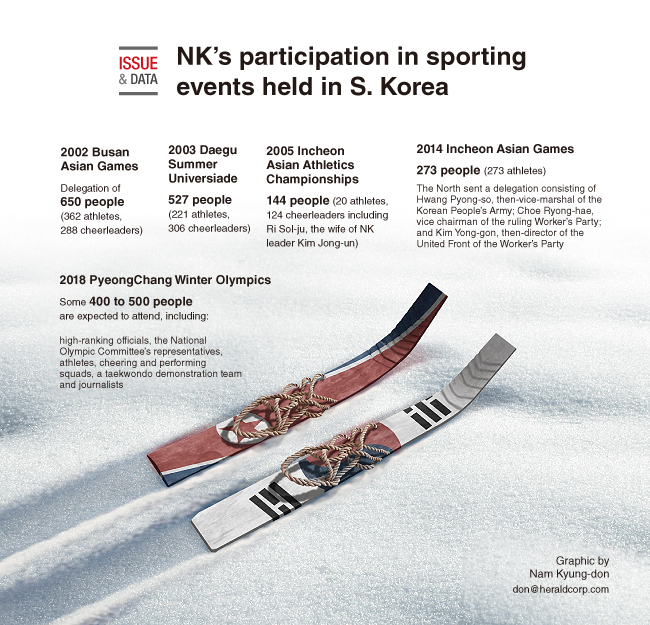 The North has sent delegations to four different international sports events hosted by the South, the last of which was the 2014 Incheon Asian Games. Hwang Pyong-so, then-North Korea’s vice marshal of the Korean People’s Army, attended the games’ closing ceremony.